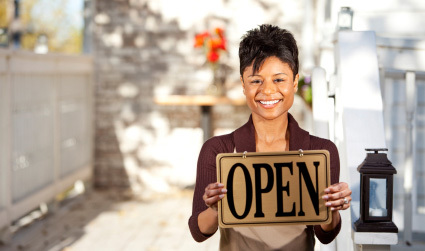 Is your business geared towards local customers? If so, you may be late to the Internet marketing game because you’re not sure how to attract local customers online. This webinar will show you, the small business marketer, how to attract local customers to your website and physical business locations. Smart business owners and marketers are abandoning the yellow pages and other traditional local advertising mediums in favor of local search and social media. Let us introduce you to the strategies and tactics you can use to fill your pipeline with local customers, even if you don’t have a website. Our goal is to not only introduce you to these tactics, but show you how to successfully use them to grow your business. Right now, there are customers in your back yard looking for your products and services. Let us show you how to find them! What is the difference between regular SEO and Local SEO? Slash your marketing budget and get more qualified local customers. Build a list of local customers and bring them back to do business with you over and over again. Understand the mindset of the local buyer so that they choose to do business with you. I wanted to send a note and say THANK YOU and IT WORKS! Web presence! I had a new client call and in the process of finding out how he found me he said, “I Googled career direction and your name came up all over the page.” Thank you for doing such a great job of sharing information and making it comfortable enough for even us non-techies to manage. (Q&A to follow) Bring in local traffic with local search and other Internet marketing methods that target potential customers right in your back yard.